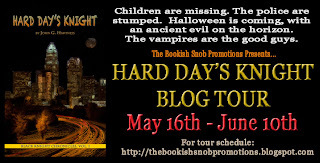 Reader Girls is the stop for today's tour of Hard Day's Knight, the first book in the Black Knight Chronicles. First we'll tell you what the book is about. 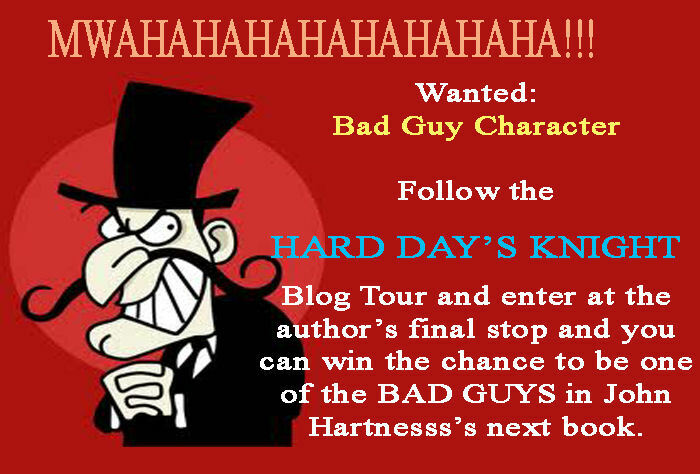 We welcome author John G. Hartness. Guest post: Why do you write? I’ve been a “creative type” my whole life. I’ve been writing since I was a little kid, got into theatre in high school, got a degree in acting, the whole nine yards. My “real job” is even artistic - I help design and build theatres and auditoriums! So whenever people ask me why I write, or how I came to be here, I don’t always know what to say. So now, if I manage to explain it to you guys to my satisfaction, then I can just send them the link! Brilliant! I write because if I don’t have some type of creative outlet, I’m a miserable human being. I can’t just consume, I have to create as well. I’ve taken breaks from art before, spans of several years when I wasn’t doing theatre or writing, and I was pretty awful to live with. I don’t know if it’s because I read so much as a child, but there were always all these characters hanging around in my head. After I watched a movie or a TV show, or read a book, I’d run outside with my cousin and play make-believe. We were the only two kids for several miles around in my rural life, so we spent a LOT of time together. I was always the one making up our scenarios, and it was never a re-enactment of whatever I’d watched or read, it was always a new adventure. You see, the characters in a good book or story never went away when I closed the book or when the credits rolled. I was always left wondering “what’s next?” And since the writers/directors/producers were never considerate enough to tell me, I had to make it up. And make it up we did. My childhood swingset was a killer Millenium Falcon. The pile of firewood by the back door was a fort, a mountain, cover to shoot from behind, whatever we needed. That creativity, born of isolation and somewhat limited financial means, has stuck with me my entire life. Whenever I’ve needed to entertain myself, I’ve been able to spin a tale. The main difference now is that I write them down. So I guess I write because I have all these voices in my head telling me stories, and it’s either write them down, put them onstage, or get locked up in the room with soft walls and bad catering. 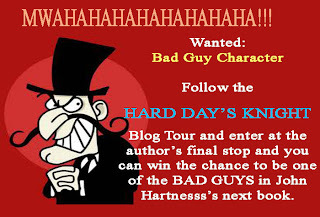 For today, I’ll stick with writing them down J.
John G. Hartness is a recovering theatre geek who likes loud music, fried pickles and cold beer. He’s been published or accepted online in several journals including The Dead Mule School of Southern Literature, cc&d, Deuce Coupe and Truckin’. 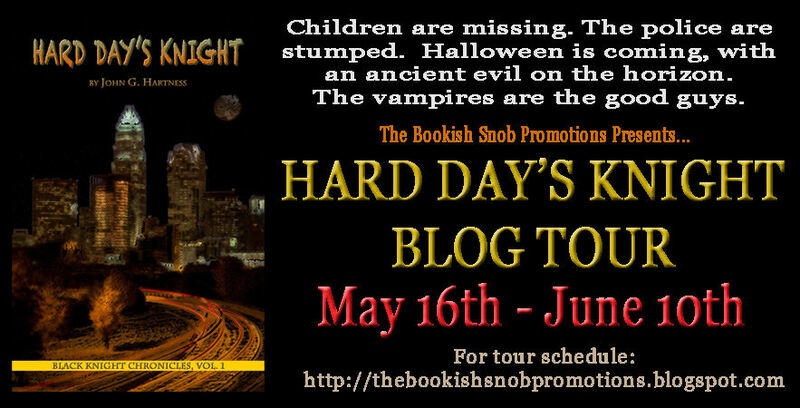 He followed up The Chosen with Hard Day’s Knight, a new twist on the vampire detective novel and the first in a planned series of at least five books. 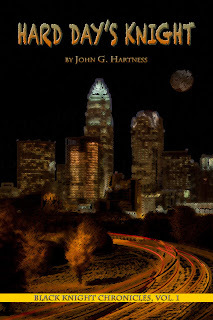 The second book of The Black Knight Chronicles, Back in Black, landed in March 2011 and has enjoyed immediate success. 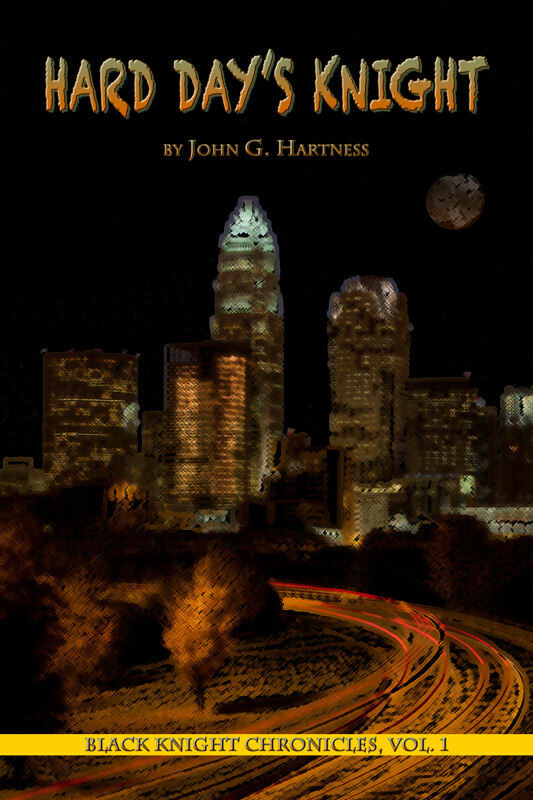 John has been called “the Kevin Smith of Charlotte,” and fans of Joss Whedon and Jim Butcher should enjoy his snarky slant on the fantasy genre. His next novel, Knight Moves (Black Knight Chronicles Vol. 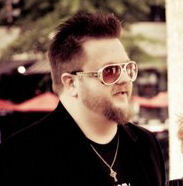 3) is due out in the summer of 2011.